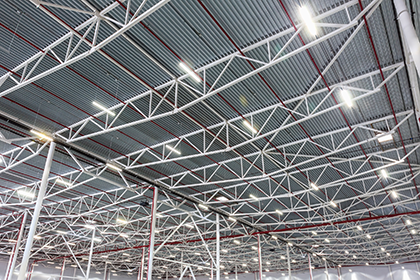 Over the last few years we have carried out LED lighting conversions in workplaces, leisure centers, warehouses, offices and shops throughout Kent. When you consider that approximately only 5% of the energy powering a traditional incandescent light bulb is actually converted into light, it isn’t surprising that so many businesses and organizations, large and small, are realizing the benefits that LED lighting solutions can offer. These benefits are not just measurable in terms of significantly reduced energy consumption and maintenance costs, resulting in lower ongoing utility and manpower servicing overheads, but also by way of improved overall workplace productivity as well as the enhancement of your organizations image in the minds of your customers and employees. Not forgetting the lower carbon footprint. We work closely with local suppliers and affiliating bodies to provide a professional end to end service, we can carry out the initial survey and quotation right through to installation and sign off. The huge bonus we have is that we can get companies of less than 250 employees up to 70% grant towards labour and materials for the project.